The beach at Manresa Uplands State Park Campground is where Club Ed campers make their home for a week of surfing and camping. A special place to Club Ed because the waves are very consistent, and out of the way from the general summer crowds. The beach at Manresa Uplands State Park Campground is where Club Ed campers make their home for a week of surfing and camping. A special place to Club Ed for summer surf camps because the waves are very consistent, and out of the way from the general summer crowds. The dolphins cruise by on most days in the early morning and we are visited occasionally by sea lions, otters, and pelicans soaring the waves. The waves are good in the morning so we usually start are days around 7-8 am and surf until about noon. The waves generally get good again in the last few hours before sunset so a lot of times we have sunset sessions too. 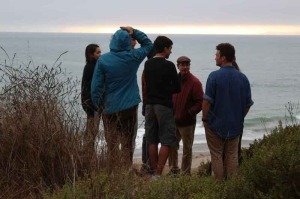 Instruction is provided by Ed himself and his staff of enthusiastic Master Surfing Instructors. We provide surfboards, wetsuits, and tents. If you have your own wetsuits, tents or boards feel free to bring them. The first camp session of the summer starts to fill up by January! 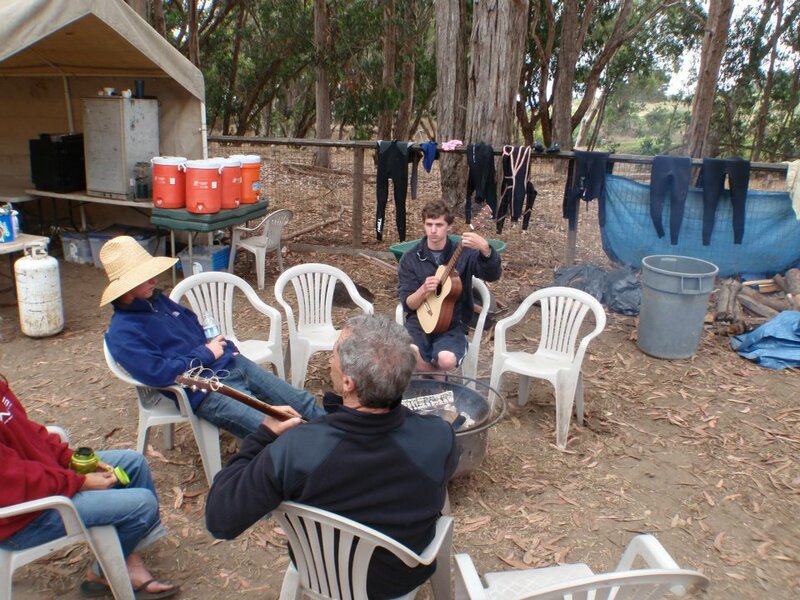 Camps are designated for pre-teen and teenage kids, although adults are welcome, too. 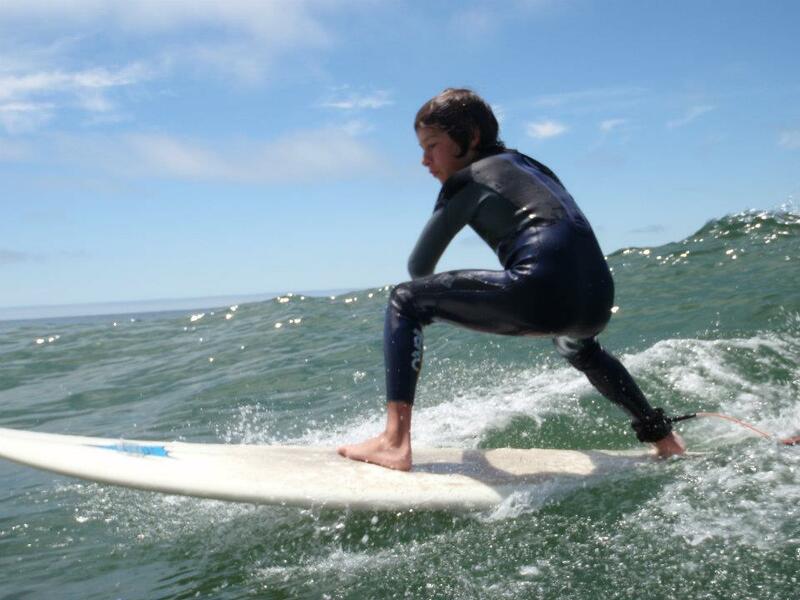 The number of campers in each summer surf camp normally varies between 10 and 20. Club Ed maintains an instructor-to-student ratio of one-to-four, so there are anywhere from three to six camp instructors/supervisors on the camp premises at any given time. 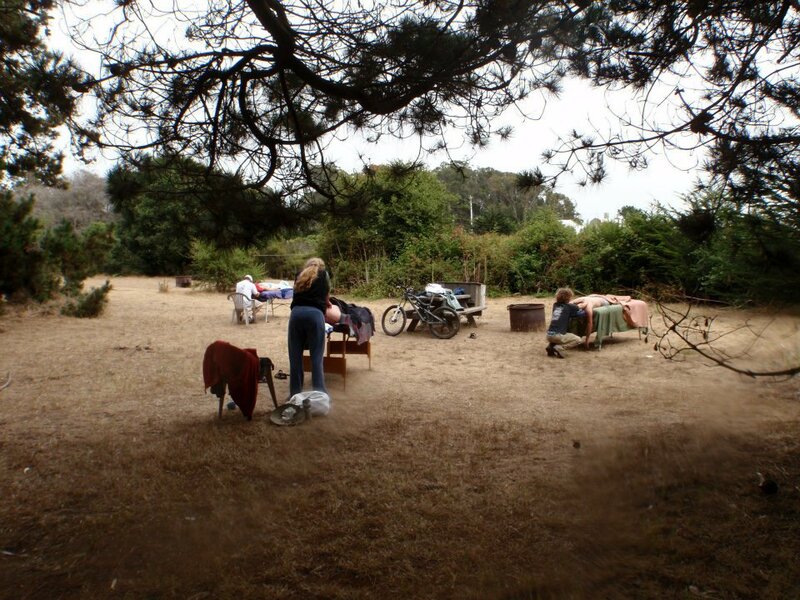 Our campsites along the bluff, overlooking the Monterey Bay Sanctuary, are guaranteed to us every year. We camp in tents having close access to bathrooms and warm showers while also having a solar heated rinse-off water right in our campsite. 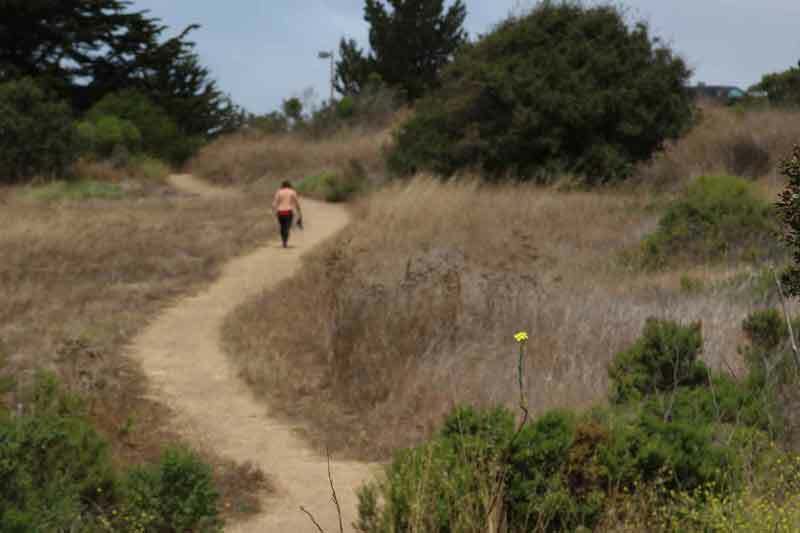 We have a special trail that starts at our camp, goes through the eucalyptus grove and out onto the bluff for checking the surf or panoramic views of the Monterey Bay. The stretch of beach that we have in front of the camp is one of the more consistently surfable spots in the area during the summer. Summer time means small waves, for the most part. This makes it easy for beginner and intermediate level surfers to have lots of fun and get time in for practice without worrying about hazards such as rocks, or grumpy surfers competing for limited amount of waves in a small area. Manresa receives northwest, west, southwest, and south swells, because of its openness there are always some sort of waves to ride. 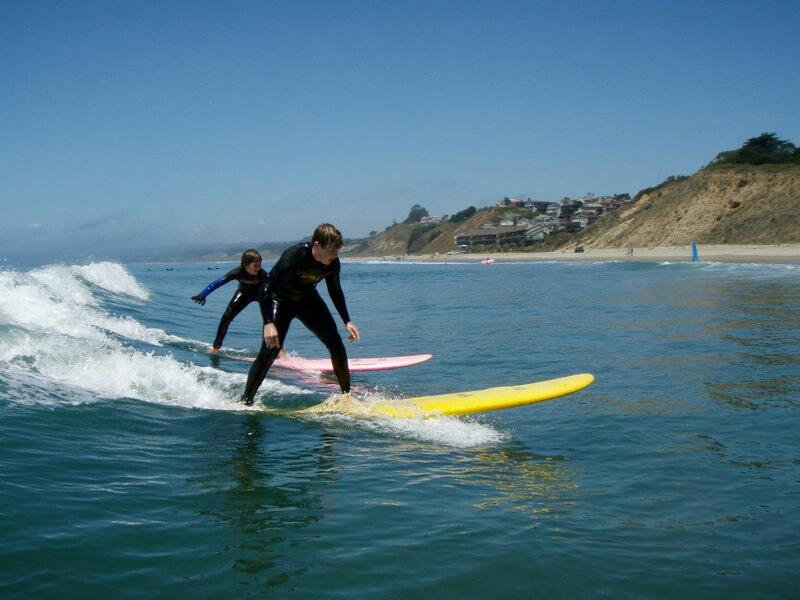 When the waves get too big for surf campers at Manresa, then we have the option of surfing the gentle point breaks of Capitola and Santa Cruz. 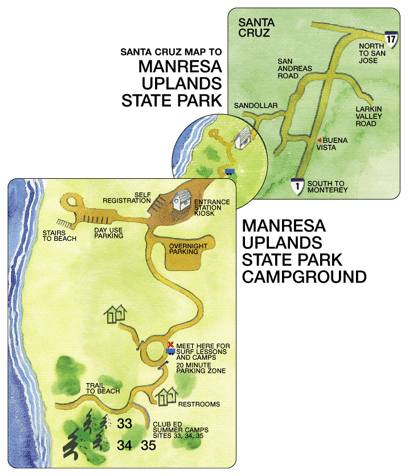 But what’s ideal about camping at Manresa, is that we don’t have to get into cars, go into town, be in traffic, and try and park to be able to surf. We just get up, walk down the trail and into the water, and when we’re ready we return to a campfire and food. Our much-needed surfing energy comes from maintaining a healthy diet throughout the week. We can accommodate allergies and special diets! Breakfast selections include cold cereal, oatmeal, pancakes, french toast, eggs, bacon, with a variety of juices and fresh fruit. Lunch consists of a variety of meats, cheeses, bread, sprouts, lettuce, tomatoes, cucumbers, avocados, hummus, pesto, sun-dried tomatoes, salads, fresh fruit, and juices. Camp dinners are catered by Ed’s favorite restaurants in Santa Cruz: Café Brazil, Carried Away and Carpo’s. Apart from our three scheduled meals a day there is always fresh fruit, snacks, and fresh spring water available throughout the day. Other activities available at the camp include Ping-Pong, Indo board, volleyball, and soccer. Then we take afternoon trips into town to visit the boardwalk, the Surfing museum, the Pearson Arrow surfboard factory, and the movies. Our evenings are spent relaxing at the fire, playing music, and telling stories. 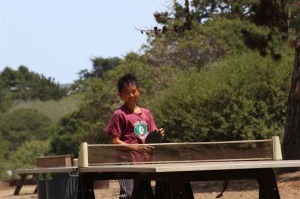 Surf campers get videotaped and photographed throughout the week, and go home with an edited, soundtracked dvd of their week at camp, along with a special edition Club Ed t-shirt made in Maui. On the 3rd day of camp, campers receive a professional massage. If you would like references from previous Surf Campers, or the Parents of Surf Campers we can gladly provide contacts. I have spent several summer camp sessions with Club Ed with my son. It was a blast. Every time. We are coming back over and over. Great place near the ocean, excellent food, very good atmosphere. My son is in his early teens and this is the place to be for him. He was getting a better man with every ride and every day. I have just stumbled on this page and I was compelled to leave a review even after several month. 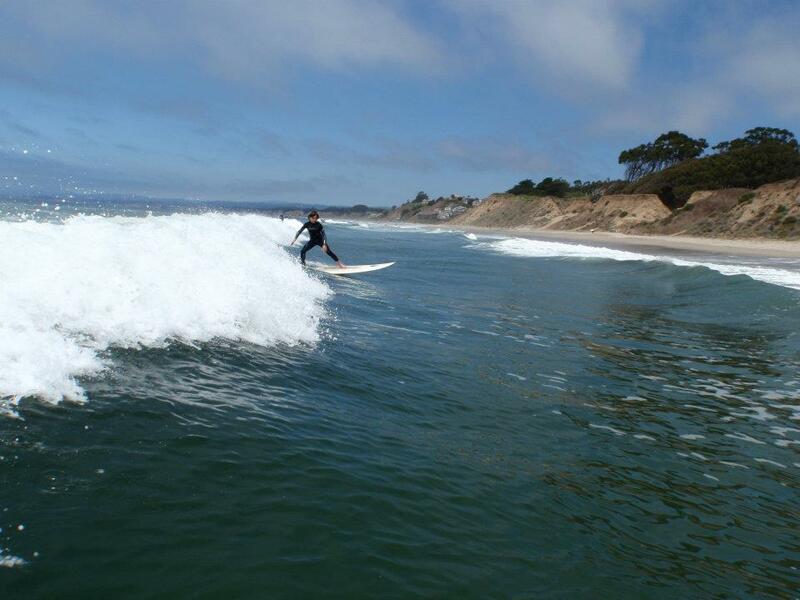 I am looking forward to spend couple weeks surfing with my son and Ed this summer again!